Securing safe interchange of patient data, improving the conduct of clinical tests and medicine traceability, and lowering costs. These are just some of the potential boosts for global healthcare that the sector hopes widespread use of blockchain technology - still in its relative infancy - could bring to the table. The myriad potential applications of the cutting-edge technology used by cryptocurrencies led by bitcoin are countless - and gradually making their presence felt, albeit for now in small, disparate doses. 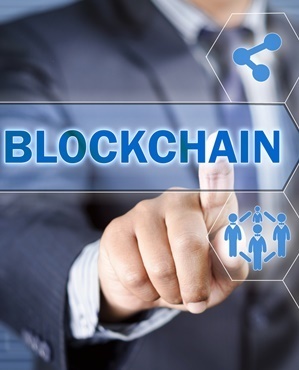 IBM Watson Health is also teaming with US Centres for Disease Control and Prevention (CDCs) to determine how blockchain can facilitate secure data exchange. Currently, says IBM, "around 80% of health data is invisible to current systems because it's unstructured." MyHealthMyData, helped with €3.5m of EU finance and whose partners include Germany's Siemens, prioritises ease of access to health data and the ease of sharing clinical trials data where administrative tasks currently eat up around "80% of researchers' time," according to Manset. Yet a balance has to be struck between people's right to have their data disposed of - the "right to be forgotten" in terms of wiping their digital information trace - set against blockchain's key selling points of immutability and unlocking efficiency advantages. Some US estimates put the potential gains not least from cutting administrative and operational waste at hundreds of billions of dollars in a market where global expenditures surpassed $3trn in 2017 and will hit a projected $8.7trn by 2020, according to Deloitte. MyHealthMyData suggests if somebody wishes definitively to erase his or her data from the trove, then the links to that information could be rendered unusable rather than cause an actual break in the chain. Manset explains that "we see blockchain as underpinning third party trust". But Anca Petre, co-founder of 23 Consulting, specialising in blockchain health sector potential, thinks large-scale industry adoption will take time, considering the sensitive nature of the data. "For that, we would have to have 100 percent digitised data and software inter-operability" for all parties, which is very far from being the case today, Petre told AFP. "Blockchain is the cherry on the cake. But first you need the cake," she told AFP, on this sidelines of the recent Vivatech salon in Paris.